Jacky women’s brown and red boots. Made from 100% leather, these striking brown boots are adorned with plenty of finishing touches that really make them stand out from the crowd. 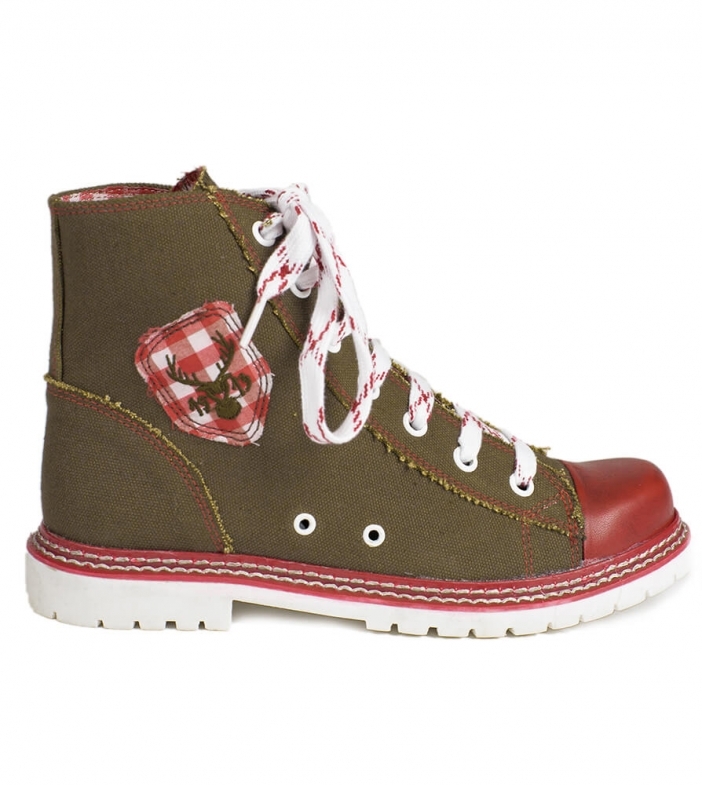 The bright red toes of the boots are matched by the red on the red and white lacing, while the sides of the boots are adorned with a traditional Bavarian deer head emblem. Preis-Leistung stimmt, ich bin zufrieden.